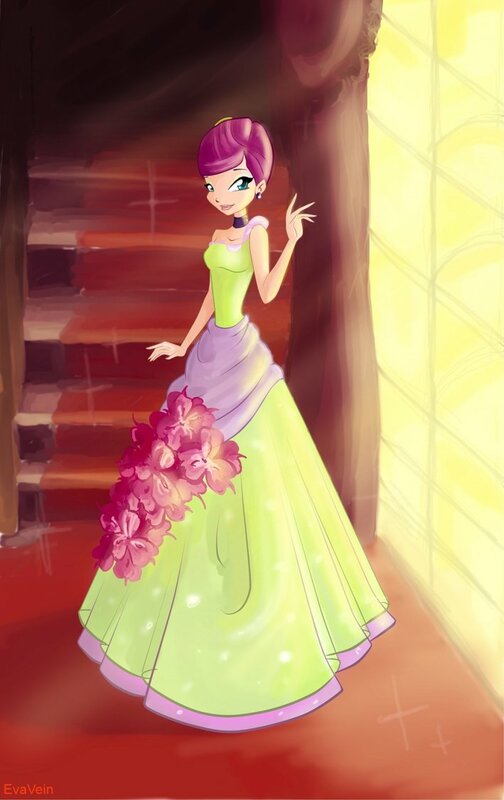 Tecna ~ hoa Dress. . HD Wallpaper and background images in the Winx Club club tagged: photo winx club season 5 character tecna dress flower fan art deviantart. This Winx Club fan art might contain bó hoa, phần trên áo đàn bà, bó hoa thơm, bouquet, corsage, posy, and nosegay.